Jakuchu Ito(1716〜1800)was a Japanese painter born in Kyoto during Edoperiod. He draw various kinds of Japanese style painting which blow peoples mind and leave a massive impact on the later generations. 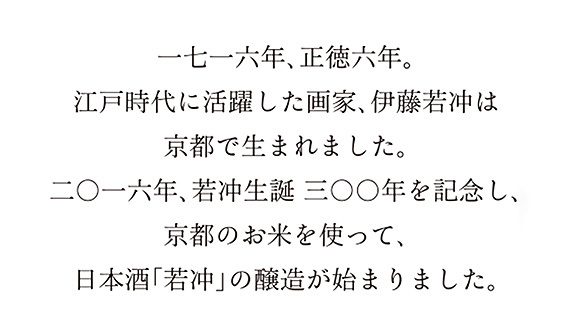 The name of Jakuchu(Painter name) means “Highly fulfilled thing looks empty at the same time”. The painting used for the label is “Rain Dragon”, painted by Jakuchu,in the possession of the brewery. Even the detail of scales are excellently expressed by the brushwork taking the advantage of the paper’s characteristics. in Hozo-ji where the Jakuchu’s family tomb is still exit. 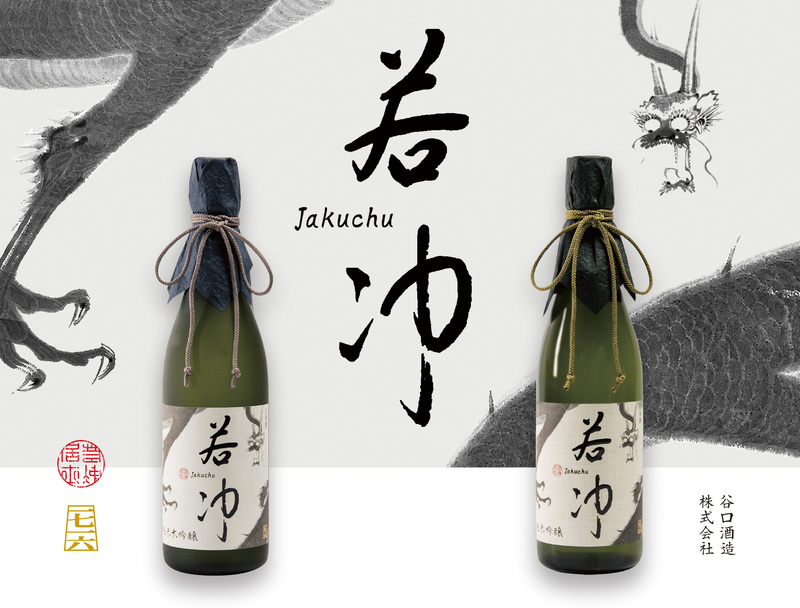 Weare proud to release the Japanese sake”Jakuchu” to celebrate the 300th anniversary of his birth. 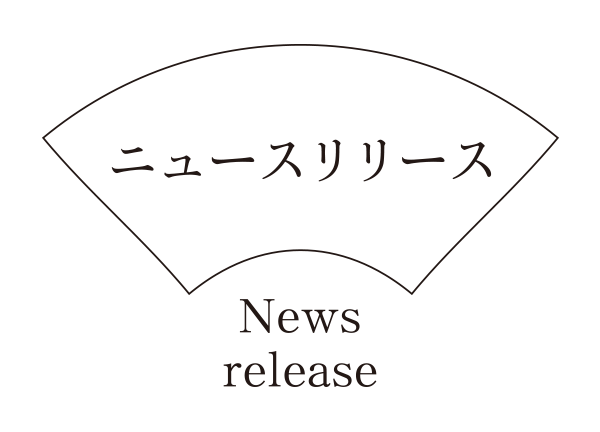 The all the rice used as basic ingredients is “Iwai” made in Kyoto, produce smooth and mild taste sake. Copyright © 谷口酒造株式会社 All Rights Reserved.